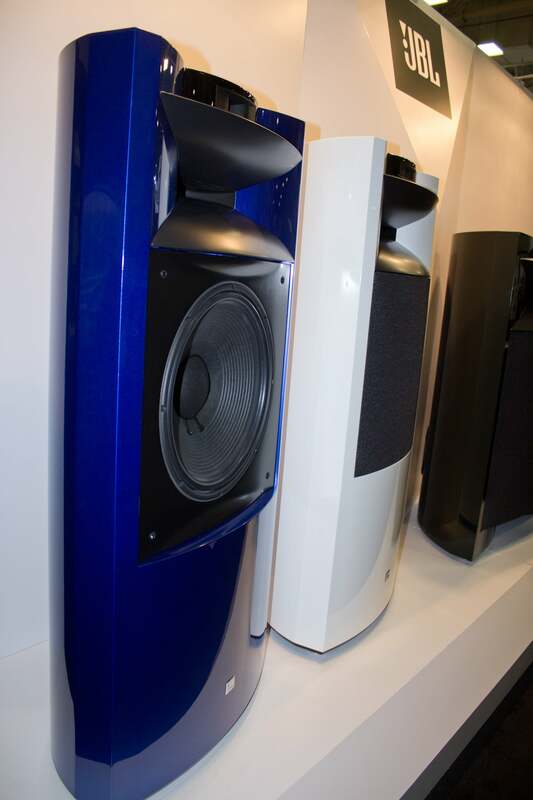 Harman's luxury division announces a custom-finish program for its made-to-order JBL Everest and K2 loudspeakers. CEDIA 2015, Dallas, TX—Does your manor need a conversation piece inside to match the hundred-thousand-dollar car parked outside? Harman is here to oblige, with a new premium-finish program for its best JBL speakers, the DD6700 Everest and the K2-S9900. You can choose from seven custom finishes, with the cabinets painted on a positive-pressure carousel using a multi-stage base coat/clear coat system. The speakers are then sanded and polished to a mirror finish. Just don’t be in a hurry: These babies are built to order, with a lead time of 120 days. The JBL K2-S9900 in Sapphire Blue Metallic (right) and Polar White (left). GT. And if you’re just a really big fan of JBL, you can order the speakers in JBL Orange. 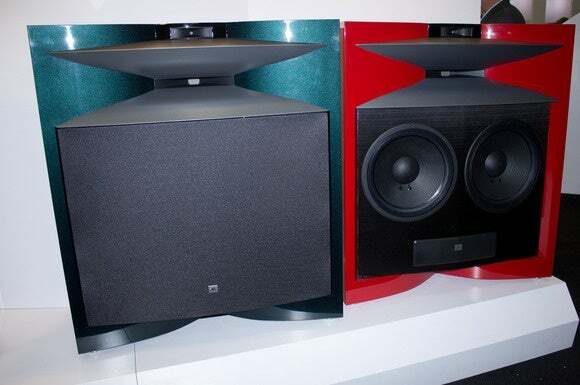 These speakers are not inexpensive to begin with: The JBL DD6700 Everest speakers in the stock Rosewood veneer cost $75,000 a pair, or $85,000 a pair in Black Gloss. Ordering a set in one of the custom finishes rockets the price tag up to $90,000 a pair. The K2-S9900’s, meanwhile, cost $44,000 if ordered in a stock Cherry or Black Zebrawood veneer, or $50,000 a pair in Black Gloss. A pair of K2s speakers in one of the seven custom finishes and you’ll be expected to lighten your wallet to the tune of $55,000.